Welcome to the Anglican Parish of Warwick. The Anglican Church of St. Mark's is part of the oldest ministry on the Darling Downs with services held in athe town from as early as 1848. In 1860, the Reverend Benjamin Glennie was appointed to the newly formed Parish of Warwick. He became Archdeacon in 1865 and won approval from his Parishioners for a building program, which included a new Church and Rectory. On Thursday, 19 March 1868, the foundation stone of the present Church was laid. The portion then build consisted of a Sanctuary, Chancel and Transepts only. It was erected in three (3) months. Work continued with the erection of the nave and in 1872, the sandstone edifice was completed. In 1874 additions were made to the Church. It is thought that the nave was extended, the transept porches were added and the stained glass windows were placed in the western end of the building. However, the Church remained unconsecrated until 29 October 1896, possibly because ecclesiastical tradition requires a building to be debt-free before it can be consecrated. Extensive additions to the church were undertaken in 1939 - 1940. These alterations included increasing the length of the nave, a narthex, a new vestry, a side chapel, base of the tower and bapistry, choir gallery and porch. An extension was added to the tower in 1962. Outside the Church, between the western end of the Church and the Church Hall is the bell which calls Parishioners to Worship. The bell tower and the bell were erected in 1929 in memory of Francis Grayson. It was then dedicated in 1930 by the then Archbishop of Brisbane. The bell tower has been refurbished. This structure replaced the orginal bell, located on a single pose erected in the 1880's. That bell could be rung from the Rectory verandah! The stump of the orginal is still in position below the 1929 structure. The eights bells ranging from 18.5" to 34" (mouth diameter of bells) are inscribed with pattern #'s and Made in England / Gillett & Johnston (Clocks) Ltd. England Waist: John Taylor & Co. Founders Loughborough England 1961 for St. Mark's Warwick Qld Australia. 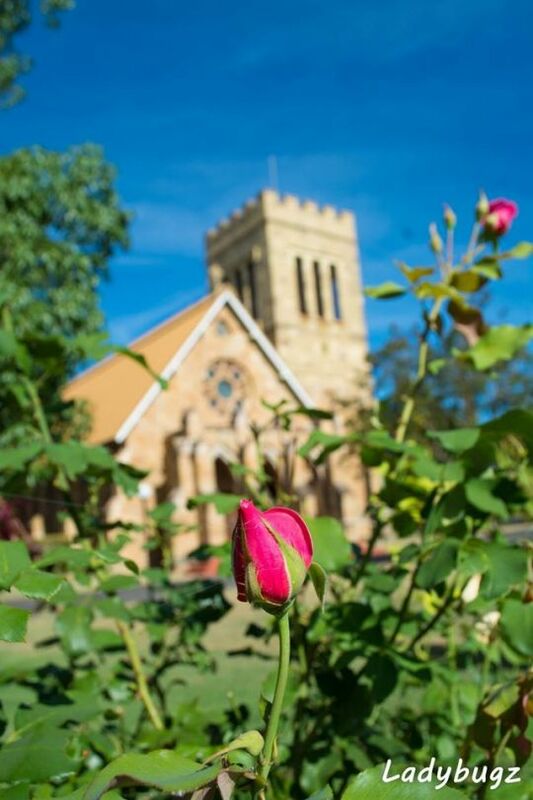 St. Mark's Anglican Church, Warwick is acknowledged as an important heritage building. It is entered in the Queensland Heritage Register maintained by the Department of Environment andHeritage Protection. It is also listed by the National Trust of Queensland, and is entered in the Register of the National Estate maintained by the Australian Heritage Commission. St. Mark's Anglican Church, Warwick demonstrates the growth of Warwick as a provincial centre, and the development of the Church of England in Queensland. The Church has associattions with prominent early Brisbane architect, Richard George Suter, and with the first Rector of Warwick, Benjamin Glennie. 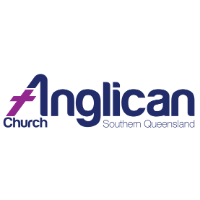 The Church demonstrates the principal characteristics of a nineteenth century Church of England in Queensland, influenced by the interest in Gothic revival ecclesiastical architecture. St. Mark's is of considerable aesthetic value; it is a well composed building on a prominent site, which is an important element of the surrounding streetscape. The building contains many finely crafted elements including internal joinery such as the ceiling and roof trusses, reredos and seating pews; glazing and stonework. The William Bustard stained glass windows of St. Mark's are of considerable creative and technical achievement. The providsionof ventilation and diffused lighting via the high level louvred openings is a considerably innovative achievement. The Church as a strong association with the Warwick communiyt and in particular, with members of the Anglican community who have used the building as their Church for nearly 150years. Much has changed since 1874. 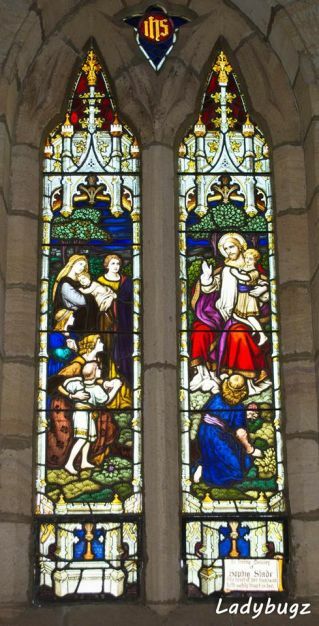 Currently the Church has fifty-two (52) stained and lead light windows by leading Australian glass artists and designers. 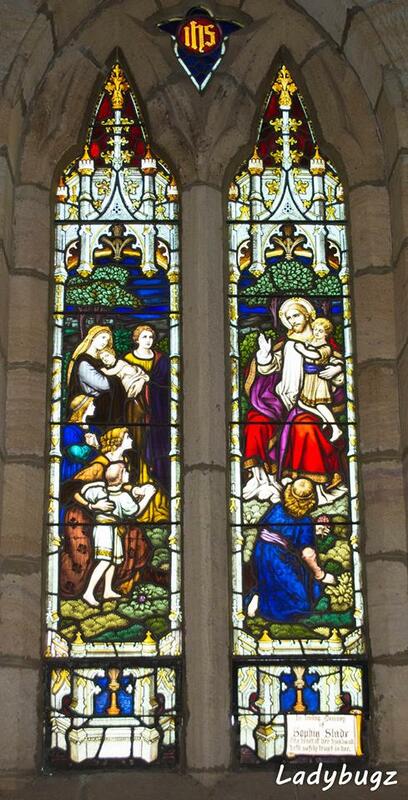 There is a large group of windows designed by the artist William Bustard and executed by R.S. Exton and Co. Brisbane, Queensland. Throughout St. Mark's the colours of red, green, blue, violet/purple, white and gold/yellow are commonly found in the scenes depicted in the windows. Red or Ruby is the colour of the Holy Spirit, of courage, energy, power, self-sacrifice and martyrdom. Blue is the light of Heaven, of enduring loyalty, of love and of purity. It is the colour of the Virgin Mary. Gold or yellow is the colour of the divine, of the sun. It represents what is sacred. Green is the colour of hope, growth, life and nature, of life over death. Violet or purple is the colour of love and truth, as well as passion and suffering. White is the colour of faith as well as of innocence, serentiy, peace and purity. As the building was renovated and extended, new stained glass windows were added. In the original 1868 St. Mark's Church, the nave had coloured glass with simple red and blue borders and the north and south transepts had plain glass windows. In 1874 the plain glass in the transepts was matched with similar windows to those in the nave as described in the Warwick Examiner and Times, 17 January 1874. The beautiful stained glass windows in the Nave are dedicated in memory of many of the early benefactors of the Church. They are known as the six gospel windows and represent The Annunciation, The Incarnation, The Presentation of Christ in the Temple, Jesus Blessing the Children, The Empty Tomb and Peter & John. They are regarded as the finest collection of windows by the renowned stained glass window maker William Bustard. If you look at the window at the eastern end of the Church, you will see in the middle panel, a small winged lion, the symbol of St. Mark. Over the years the windows have seen damage and deterioration from the elements. The structural integrity of a number of the stained glass windows is at risk. There is now a concerted effort to restore these historic windows to their original glory. The conversationof this heritage building is important to the whole community. By conserving the Church we are also sustaining an social service that has functioned for over 150+ years. Parishioners and friends have worked to make St. Mark's a community Church. The Church and Hall are used by the wider community for concerts, dance classes and performances etc. We are asking for your help to raise funds for the restoration of our beautiful and world renowned Stained Glass Windows. Your generous gift towards the restoration of St. Mark's Church stained glass windows, no matter how great or small, will be most appreciated.